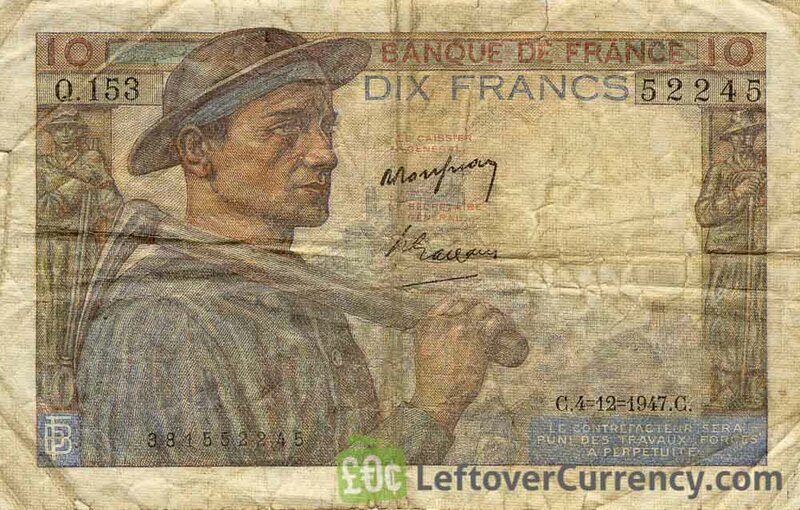 Convert your leftover French Franc banknotes pre-1958 to cash using our hassle-free online exchange service. Get paid fast for your unused currency from France. 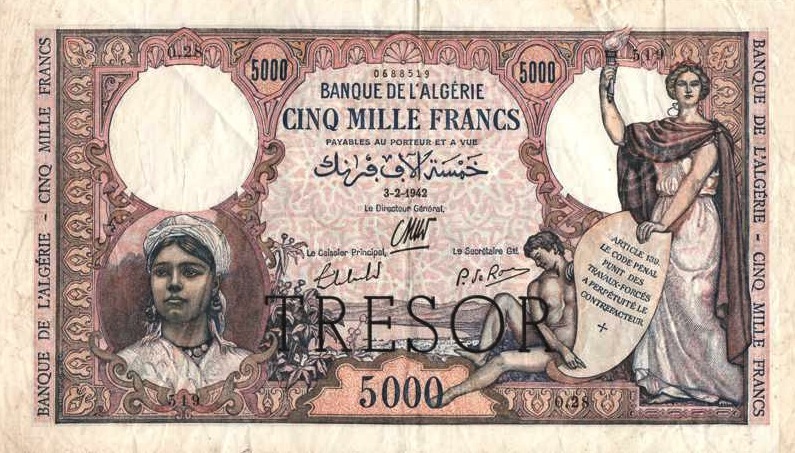 French franc banknotes issued before 1958 are worth 1/100 of French franc banknotes issued from 1958. 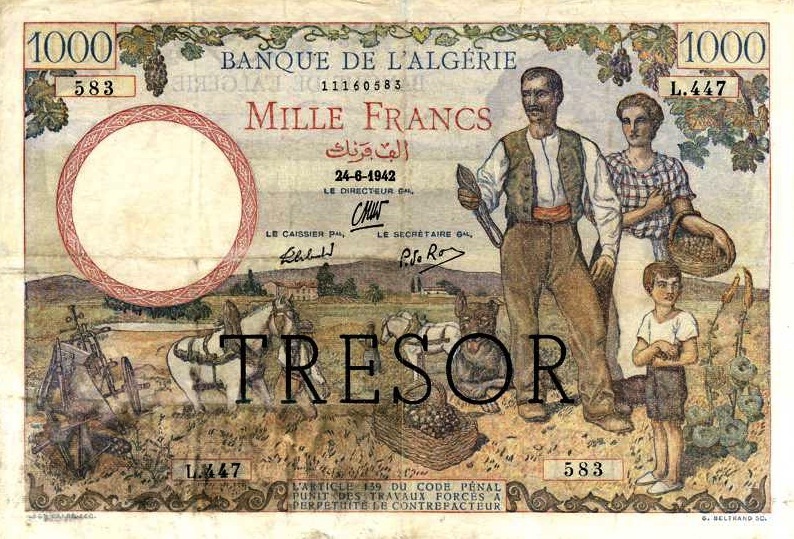 After World War II, following the Bretton Woods agreement, the French franc lost much of its value in several devaluations. 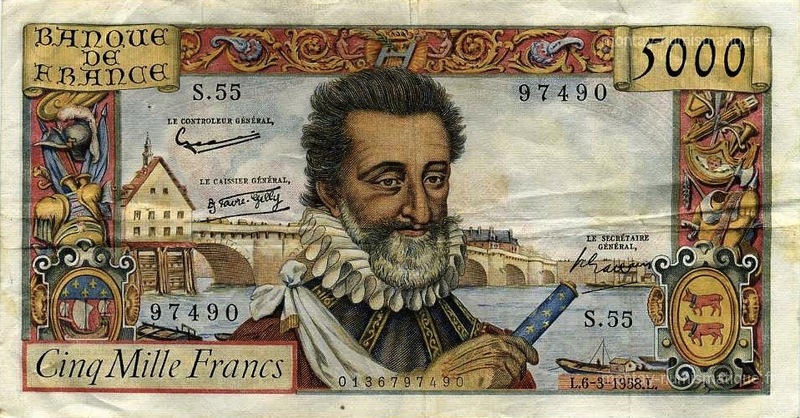 In 1958, 100 Old French Francs became 1 Nouveaux Franc (New Franc). 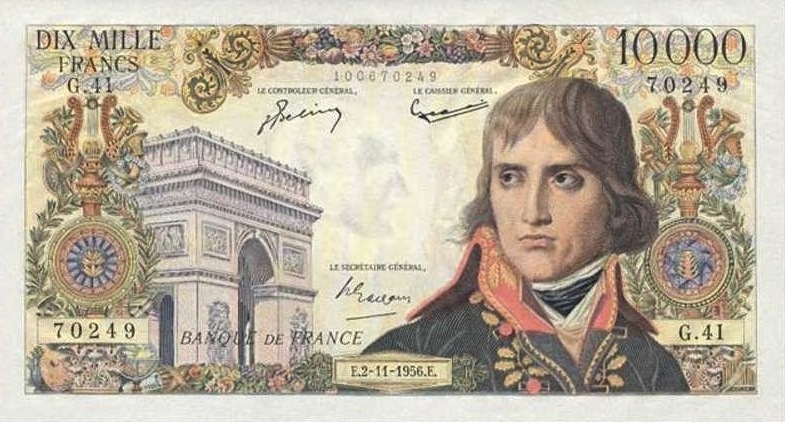 Now that France uses the Euro, French francs no longer have a monetary value. 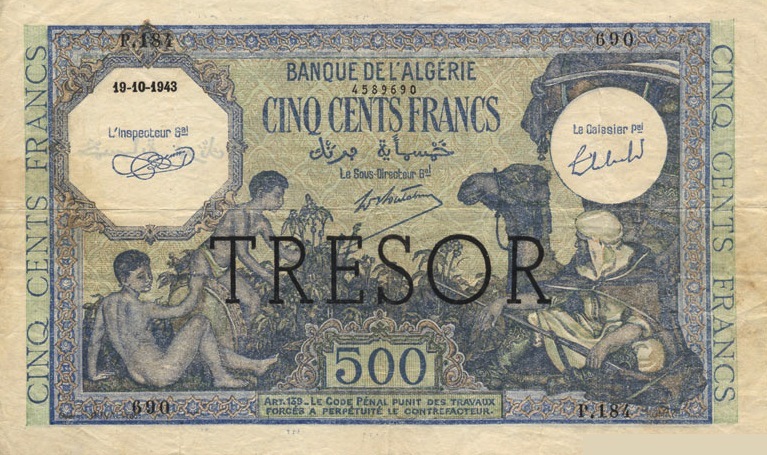 However, we give cash for demonetized pre-1958 French Franc banknotes at a rate that reflects their numismatic (collector’s) value. 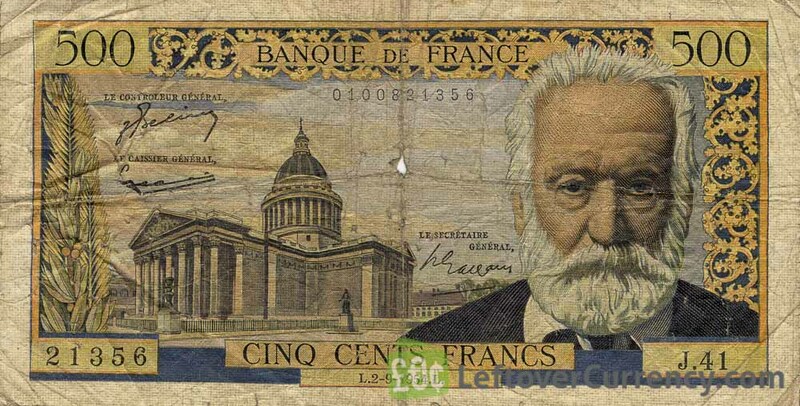 We also exchange more recent French Franc banknotes and French Franc coins. 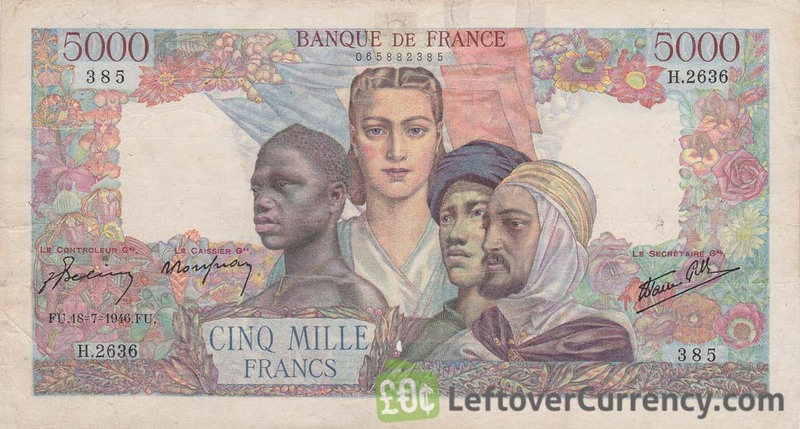 Do you have French Franc banknotes pre-1958 like the ones in the pictures below? Add the amount you want to exchange to your Wallet. 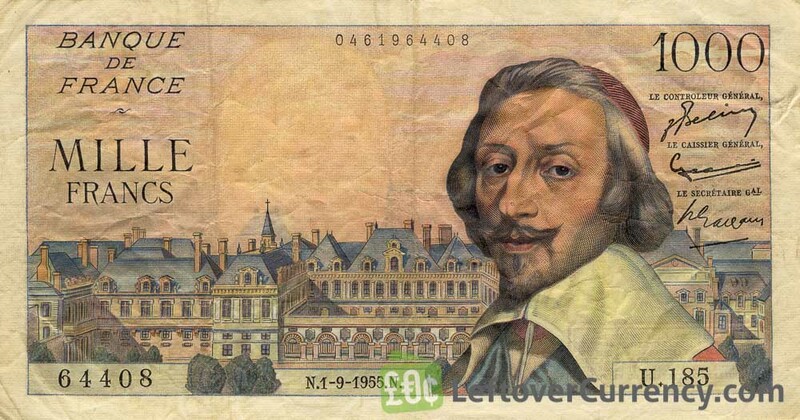 You'll see exactly how much money you'll get for your French Francs. Click on the Wallet symbol to complete checkout and get paid within 5 days of receiving your currencies.